Denver Mayor Michael Hancock sat at a round wooden table, shaking his head in disbelief before dropping his head into his hands in his sprawling downtown office Tuesday afternoon. He was listening to a group, including two permanent legal U.S. residents, tell him the federal government is crushing their dreams of full citizenship and even threatening their ability to travel without fear of detention, all because of their employment in Colorado's nearly two-decade-old legal marijuana industry. I was led down a path to confess in my interview that I broke the law, that I willingly had known that I had broken the law. Medical marijuana has been legal in Colorado since 2000, and recreational weed became legal in 2014. But cannabis is still illegal in the eyes of the federal government, meaning agencies like the Department of Homeland Security's U.S. Citizenship and Immigration Services (USCIS) can simply ignore the marijuana laws of Colorado and 33 other states -- not to mention the District of Columbia, Guam, Puerto Rico and the U.S. Virgin Islands. Oswaldo Barrientos said he and his mother emigrated from El Salvador 29 years ago -- when he was a baby -- and he got his green card at 13. By the time he turned 30, he felt it was time to finally trade it in for full citizenship. "The American life is the only life I've known and lived," he told ABC News. 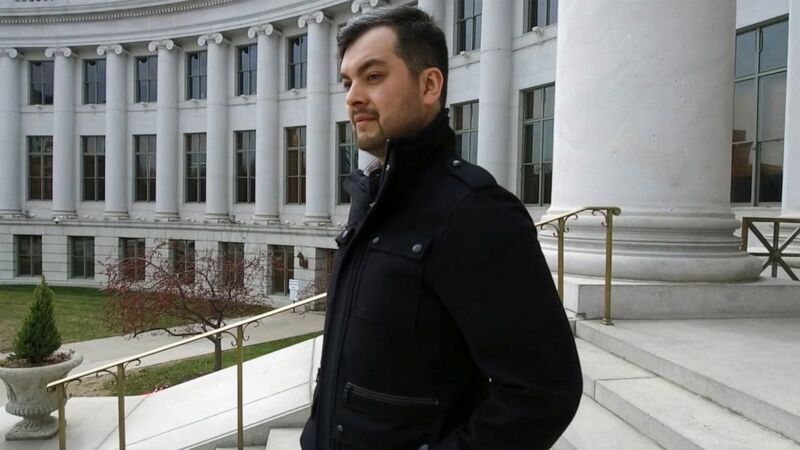 But Barrientos said he felt blindsided during his citizenship interview last fall when the immigration officer suddenly started asking questions about his job at a marijuana dispensary, without first explaining the potential consequences of his answers. Oswaldo Barrientos stands outside the mayor’s office in Denver after meeting about immigration and the marijuana industry. "From that second, I was trapped," said Barrientos. "I was led down a path to confess in my interview that I broke the law, that I willingly had known that I had broken the law." Barrientos' immigration lawyer, Bryce Downer, said citizenship interviews typically have a comfortable vibe until, at some point, it "takes another turn." "By the end, they've led you down this path to openly admitting you've engaged in felonious activities and you've essentially admitted to drug trafficking, drug distribution and drug manufacturing, which for immigration purposes, can be viewed as an aggravated felony or a controlled substance violation," said Downer. Barrientos was not charged with any crimes. But a couple weeks after his interview, he says he received a denial letter in the mail. The reason, according to the letter, was that working in the marijuana field constitutes a lack of "good moral character." The federal government's recent scrutiny of legal permanent residents working at marijuana dispensaries came as a shock, says Kristi Kelly, executive director of the Colorado-based Marijuana Industry Group. Marijuana is illegal under federal law, and, as a federal agency, USCIS is required to adjudicate based upon federal law. "There was a significant change in federal enforcement priorities with the administration change between President [Barack] Obama and President [Donald] Trump," Kelly said. USCIS says it's simply enforcing the law. "Marijuana is illegal under federal law, and, as a federal agency, USCIS is required to adjudicate based upon federal law," said spokeswoman Deborah Cannon in a statement. "Despite state laws that may allow medical marijuana use, the Supreme Court has held that Congress' authority under the Commerce Clause empowers it to prohibit drug distribution and possession, even if the prohibited activities are not also illegal under state law." Cannon added that USCIS "evaluates each case on its unique circumstances, and examines each case based upon its unique circumstances to determine whether an individual merits a favorable exercise of discretion in order to grant adjustment." In a letter sent Wednesday to U.S. Attorney General William Barr obtained by ABC News, Hancock asked the Department of Justice to provide guidance to its employees to correct what the mayor calls an "injustice." "Denver believes hardworking and law-abiding immigrants should be allowed to participate in the legal cannabis industry without fear that such participation will disqualify them for lawful residency in the United States or prevent the opportunity to obtain permanent citizenship," the letter reads. "We respectfully request that the U.S. Department of Justice uphold Colorado’s states’ rights by respecting our voters and providing guidance to all DOJ employees clearly indicating that legal immigrants shall not be penalized for working in the legitimate cannabis industry." "Denver understands the need for federal laws and regulations regarding citizenship and immigration, but we are seeing the heartbreaking effects that those federal laws and regulations are having on our residents," Hancock wrote. Denver Mayor Michael Hancock listens during a meeting about immigration problems stemming with legal marijuana jobs. Kelly says her group has tried to spread the word to the immigrant community since first hearing about the federal crackdown in the summer of 2017. The group quickly produced a public service announcement in English and Spanish. "When you're talking about breaking up families," Kelly said, "education is the only way we can effect any kind of change." National nonprofit groups, like the Immigrant Legal Resource Center, have also begun warning immigrants about tangling with weed. Twenty-nine years of me being here, not breaking the law in any way, at least on a state level. I've done everything by the book. Statistics on how many people have been denied citizenship because of their ties to the marijuana industry were not immediately available, Cannon said. 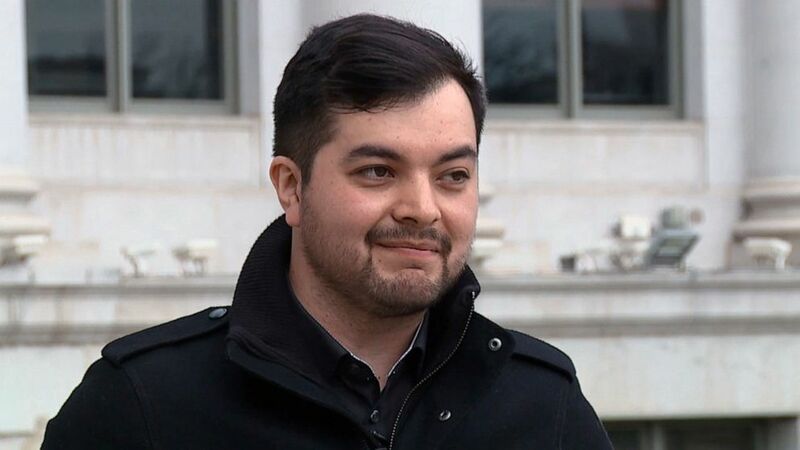 "I thought I was a shoe-in" for citizenship, admitted Barrientos, one of two legal residents who attended the Tuesday meeting with Denver city officials. "Twenty-nine years of me being here, not breaking the law in any way, at least on a state level. I've done everything by the book." Barrientos got a job at a marijuana dispensary after learning his mother was diagnosed with stage 3 melanoma in 2014. "I didn't get into it because I'm some kid in his mom's basement, bored, and all he does is smoke pot," he said. "I truly am interested in the benefits this industry can bring on a medicinal level." 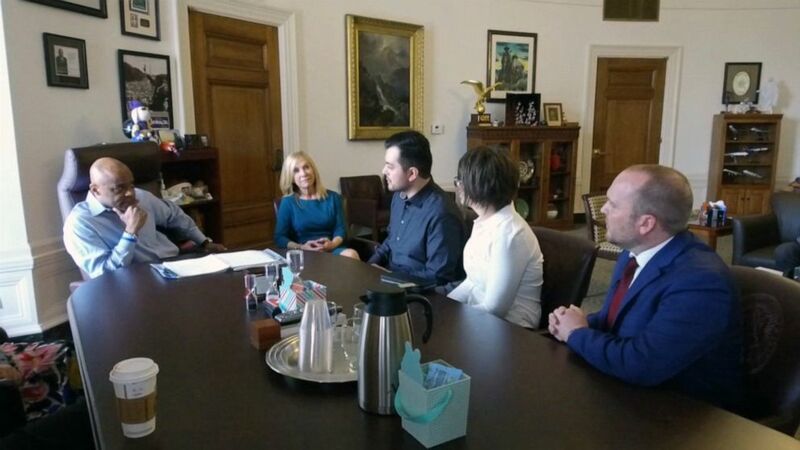 Barrientos said after his denial letter, he became afraid to leave the country -- something he said he never even considered until speaking with Downer and his team at Novo Legal Group, an immigration law firm in Denver. "The first thing they told me was, 'Do not travel internationally,'" Barrientos said. He had been planning a trip to the Cayman Islands with his girlfriend and her family. Downer said the risk is real. "If he were to travel outside of the United States and come back in, he will likely be detained because it's now part of his official file," said Downer. I thought this would be a really wonderful field to get into, and I would feel like I'm helping people. That's all I've ever wanted to do in my life. Samantha -- a 29-year-old health care worker who asked to not use her real name because she fears government reprisal during her appeal process -- faces a similar battle, even though she hasn't worked in the marijuana industry for years. Samantha told ABC News she immigrated to the U.S. from Europe as a young girl. Now a legal permanent resident, she was also recently denied citizenship. She worries about traveling on her European passport to visit a sick 94-year-old relative because she may be detained if she tries to re-enter the United States, her home since age 7. "All she says she wants to do before she passes away is see me," she said, referring to her family member. "[And I want to] tell her that I love her, that she's always with me no matter what happens." Samantha said she worked at a dispensary for less than a year. Oswaldo Barrientos stands outside the mayor’s office in Denver. "One of the things I remember learning in [one college class] was about the benefits of cannabis and the research that has come out and is being done right now. And I remember how helpful it's been for PTSD, for our veterans and reducing anxiety and cancer," she explained. "I thought this would be a really wonderful field to get into, and I would feel like I'm helping people. That's all I've ever wanted to do in my life." Samantha said she had a similar experience to Barrientos when she applied for her citizenship. "I went in and sat down with the officer. He was very nice, he was personable," Samantha said. "He asked, 'Were you actively involved in the exchange of money for marijuana goods?' -- which I was. I would work at the cash register." She received her rejection letter a few months later in the mail, with the government also citing a "lack of moral character" for her work in the industry. I feel as native as anybody else who had been born here. Toward the end of Tuesday's meeting, Hancock apologized to Barrientos and Samantha. "I'm sorry this is happening to you. This is horrible," Hancock told them. Both Barrientos and Samantha are appealing their decisions, but their lawyers said it will be a lengthy and expensive process that may end in the same result. "I'm American. Denver is my home. I feel as native as anybody else who had been born here," said Samantha.